Tess Masters is an actor, presenter, cook, lifestyle personality, and author of The Blender Girl, The Blender Girl Smoothies app and book, The Perfect Blend, and The Detox Dynamo Cleanse. She shares her enthusiasm for healthy living at theblendergirl.com. 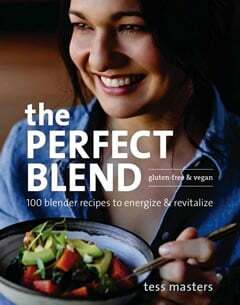 The Blender Girl and her healthy fast food have been featured in the L.A Times, Washington Post, InStyle, Real Simple, Prevention, Clean Eating, Family Circle, Vegetarian Times, Yoga Journal, VegNews, Home & Family, Fox, WGN, and many others. Join Tess on Facebook, Twitter, Instagram, Pinterest, and Youtube. 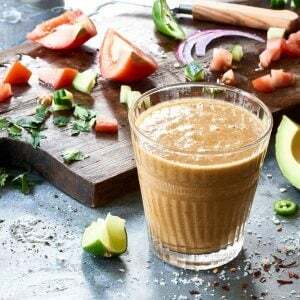 Rather than blocking your nose, closing your eyes, and drinking a glass of slimy sludge that looks and tastes like swamp water, use this fool-proof formula that will help you create savory smoothies that look and taste amazing.